A chef who lost his job after he was wrongfully convicted of drug-driving is suing the forensic firm which tested his sample. Billal Hartford, 21, was banned from driving for a year after a blood test indicated he had been smoking cannabis. He challenged the conviction after seeing news reports about alleged manipulation of forensic results at Randox Testing Services (RTS). Mr Hartford had his sample re-tested and it came back clear. His conviction was quashed after six months. Mr Hartford, of Skutterskelfe, North Yorkshire, was stopped by police in August 2016 and was arrested for possession of cannabis. He then gave a blood sample, and was later charged and convicted at court because of the result. "The forensic test was seen as gospel, and of course, being in possession simply meant that nobody believed me," he said. "I'd never drive having taken drugs though, just as I wouldn't drink alcohol and drive. "I'm taking legal action because I want something back for them ruining six months of my life." In November, police suspended all contracts with RTS after two scientists were arrested on suspicion of tampering with data. According to police, 484 cases handled by the firm since November 2015 may have been affected. 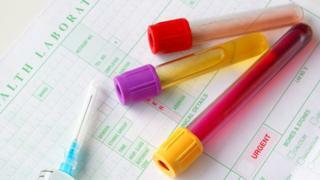 The allegations relate to drug tests analysed at the Manchester office. The company, based in Northern Ireland, said the investigation centres on the "manipulation of quality control data, which supports test results". A spokeswoman for RTS said the firm was committed to resolving the situation and continues to actively support the police investigation. She said she deeply regretted the distress caused to Mr Hartford. Two former employees remain on police bail.